Verein K is an independent organisation with a focus on projects that critically engage with contemporary art and culture based in Vienna. It was founded in January 2018 by three people who share a belief in critical discourse and the aim of making contemporary art and criticism more inclusive while maintaining high quality standards. To foster critical approaches to contemporary art we have developed different formats, starting with three programs: Crit Cross. A Forum on Art Criticism, a platform for critical reading and exchange with the aim to promote artistic and sociocritical dialogue in Vienna, residency program for international curators Visiting Curators Vienna as well as international art critics Visiting Critics Vienna who are interested in exploring Vienna‘s contemporary art scene. Born in Belgrade, former Yugoslavia. Jelena studied German Literature and Theater and Film Studies at the University of Vienna. Between 2008 and 2014, she was active as a literary translator and worked at the ERSTE Foundation as coordinator of numerous international art, cultural and social projects in Central and Southeastern Europe. As co-director of the association BLOCKFREI between 2015 and 2018, she designed and organised art and cultural projects, most notably “Curators’ Agenda,” a residency program for international, emerging curators and “Critics’ Agenda 2017,” for international art critics (next edition of this program was launched in November 2018 by Verein K under the name “Visiting Critics VIENNA 2018”). 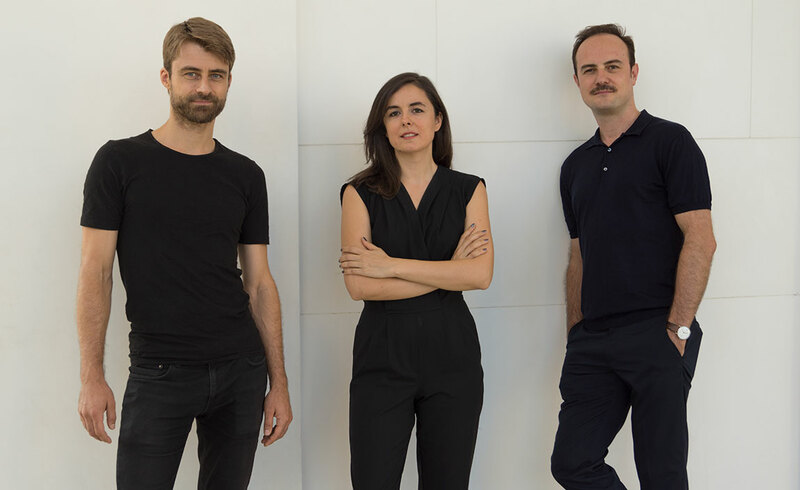 In January 2018, Jelena co-founded the association Verein K.
Born in Belgrade, former Yugoslavia. Dejan studied at the Academy of Applied Arts in Vienna and gained an MA in visual arts at the Academy of Fine Arts in Belgrade in 2004. He has exhibited internationally at numerous solo and group shows in Europe, USA, Australia and Asia. Born in Reutlingen, Germany. Klaus is philosopher, art critic and curator. Klaus studied philosophy and art history at the University of Munich and the École normale supérieure in Paris. In 2013, he completed his PhD in Philosophy at the Sorbonne with a dissertation on the possibilities and modalities of narration in single pictures. Between October 2015 and January 2018, he was the head of the post-doctoral research project “Towards an Experimental Narratology of the Image” at the Laboratory for Cognitive Research in Art History (CreA) at the University of Vienna. Klaus curated several group and solo shows and was awarded the AICA France Prize for Art Criticism. He regularly contributes to monographs and catalogues, e.g. for the Centre Pompidou in Paris, the Schirn Kunsthalle in Frankfurt, and the mumok in Vienna and also writes criticism and theory for Spike and artpress. In January 2018, Klaus co-founded the association Verein K.
Jelena Petrović is a feminist scholar, theorist and art worker. (Co)author of texts, events and projects related to (post)Yugoslav subjects – particularly with regard to the (post)Yugoslav history, art-theory and feminism. She completed her PhD at ISH Ljubljana Graduate School of Humanities (2009). From 2008 to 2015 she was an active member of the new Yugoslav art-theory group Grupa Spomenik. Co-founder and member of the feminist curatorial collective Red Min(e)d (2011- ). From 2014, she has been teaching at the Academy of Fine Arts and Design, University of Ljubljana and from 2015 at the Academy of Fine Arts Vienna, Austria (appointed as the Endowed Professor for Central and South Eastern European Art Histories 2015-2017). Nuit Banai is art historian and critic, Professor of Contemporary Art in the Department of Art History at the University of Vienna; Her book on Yves Klein was published in the ‚Critical Lives‘ series by Reaktion in London in 2014 and she is currently at work on a book project titled “Imagining Europe between Nation State and Border State: Public Disorder and the Search for a Universal Subject,” which examines the aesthetic mediation of ‚Europe‘ from the post-war years to the present. She has also contributed numerous catalogue texts to accompany international exhibitions at, among others, the Centre Georges Pompidou, Musée nationale de la villle de Paris, Barbican Centre, Schirn Kunsthalle Frankfurt, Bronx Museum of the Arts, Artists Space, Americas Society, museum moderner kunst stiftung ludwig wien, and Documenta. She is a regular contributor to Artforum International and Texte zur Kunst and a Contributing Editor at Art Papers. Séamus Kealy is currently Director of the Salzburger Kunstverein in Austria. Curated exhibitions there include the award-winning Punctum, Invisible Violence, Überschönheit, The People’s Cinema, A Painter’s Doubt, and Floating Self. Séamus Kealy completed his Masters in Art History and Bachelor in Visual Arts, where he studied with Jeff Wall, at the University of British Columbia. After working as an artist, he went onto curating, including institutional appointments at the Blackwood Gallery, University of Toronto; and The Model, Sligo, Ireland. He has worked with artists Stan Douglas, Bedwyr Williams, Paloma Varga Weisz, Geoffrey Farmer, Rabih Mroué, Nevin Aladag, Hans Schabus, Harun Farocki, Omer Fast, Ilya & Emilia Kabakov, Willie Doherty, Flaka Haliti, among many others. Zoran Erić is art historian, curator and lecturer. He holds a Ph.D. from the Faculty of Media, Bauhaus University in Weimar. He holds the position of the Chief Curator at the Museum of Contemporary Art, Belgrade. His focus is on theoretical research, workshops and international projects which deal with issues derived from the meeting points of urban geography, spatial-cultural discourse, and theory of radical democracy. His curatorial practice examines the position of artists in the public domain, the underlying problems they confront while reflecting the particular context. Erić is particularly interested in the production and reproduction of different contextual layers of social space and the role artists can play in this. He lives and works in Belgrade.